Last week, Beyonce announced a $125,000 donation to Embrace Innovations, Jane Chen’s organization that designed and distributes her infant warmer, a low-cost alternative to the incubator that looks like a tiny sleeping bag. Beyonce’s donation will fund pilot testing of the device in Ethiopia, Ghana, Kenya, Malawi, Mali, Nigeria, Rwanda, Senegal, Tanzania and Uganda, and could help 1,900 underweight babies who, without it, might not live. 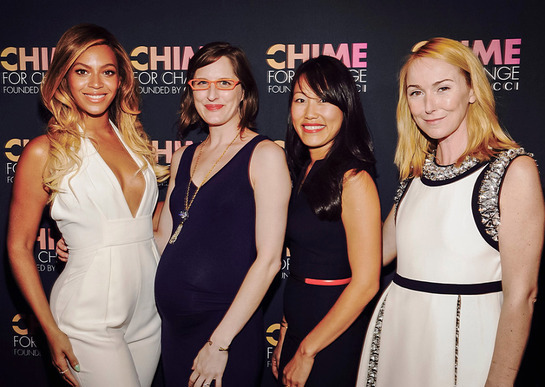 This donation, which Beyoncé announced at an anniversary party for Gucci¹s Chime for Change, was the domino effect of Chen stepping on to the TEDWomen 2013 stage. Read more about Beyonce’s generous gift and the work it will be used to support here.